Posted February 7, 2018 by James Gawthorpe & filed under investment. 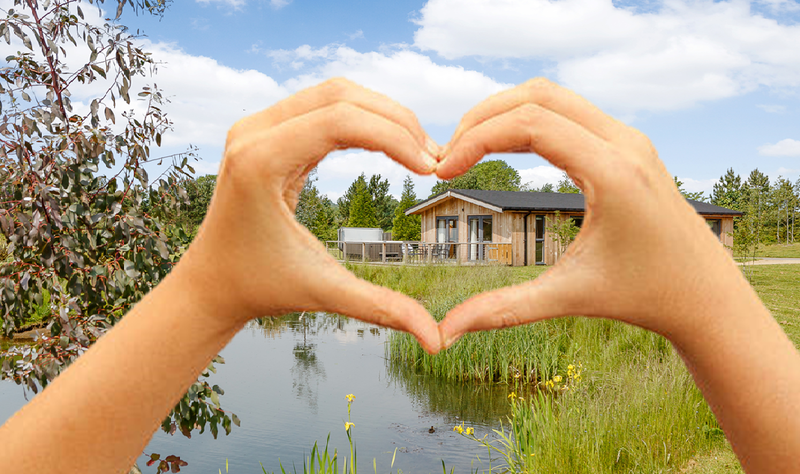 Although many may choose to stick with chocolates and flowers, we think that purchasing a holiday home could be the romantic gesture that keeps on giving this Valentine’s Day with buy to let owners securing a return of 9.2% each year at Cedar Retreats. For those who are looking to make a particularly bold statement, the one, two and three-bedroom properties, with prices starting from £150,000, could provide the key to the heart of a loved one this February. Achieving one of the highest independent ratings of any lodge company from the Autograph collection at Hoseasons, and named as a preferred choice during the festive season, the park is becoming increasingly popular and welcomes guests from all over the country. As well as having a selection of lodges that can be rented for a short break, we also provide investors with the opportunity to purchase the properties, which can be used as second homes or rented to visitors throughout the year. Managing Director of Cedar Retreats, Sarah Gawthorpe, said: “It may seem like an elaborate gesture to make but the lodges here at Cedar Retreats have proven to be a sound investment and can secure upwards of 9.2% return a year for our owners. “What a great way to show someone that you care this Valentine’s Day, with the keys to a luxury lodge. Better still, each property comes with a private hot tub, which adds a further touch of romance to the lodges that are all dressed in cedar wood. Not only is a luxury lodge a sound investment, it’s also a gift that is certain to secure brownie points that can be claimed for years to come!